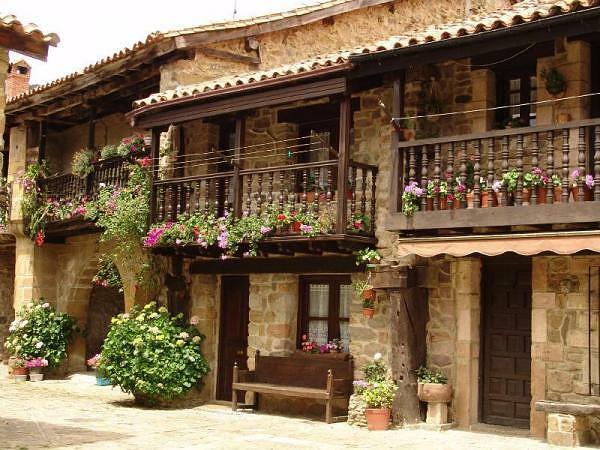 The main town is Polientes, with one of the most stunning surroundings. With and area over 60.000m, electricity and drinkable water, this campsite was designed with families in mind. The ideal place for your holidays or as a second home moreover since we are open all year round. And we are pet friendly, so bring your pet with you. It will enjoy running around and making friends with other pets. You can enjoy our sports facilities inside the campsite and we have all you need at your disposal – balls, nets, rackets, etc.…, whether you are staying in a tent, lodge or in your mobile home. 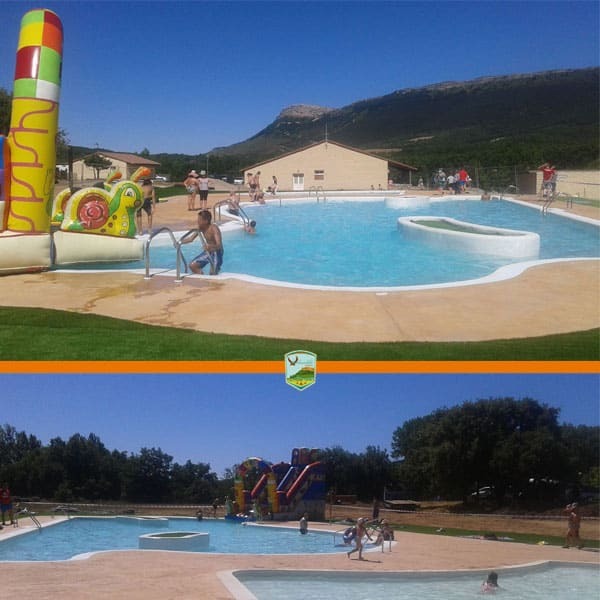 We have just finished renovating our two swimming pools by the restaurant, we also have a paintball field, and we keep widening the range of activities and sports in our campsite. In the following months we are going to build a wave pool and a climbing wall for all to enjoy. The campsite`s aim is to become the ideal place to relax for families, a place where young and adults alike can recharge their batteries. Since we are situated in the border between Cantabria, Burgos and Palencia, you will be able to visit many interesting places in these three provinces without having to travel very far. There is an endless list of places to visit just 30 minutes away – historical and archeological sites, necropolis, caves…, the majority have been registered as “Bien de Interés Cultural” (Heritage of Cultural Interest) and have protected areas. Many towns will leave you breathless. In southern Cantabria you will be able to enjoy nature; we are by the river Ebro, with natural parks, information centres and over 40 hiking trails of all levels. 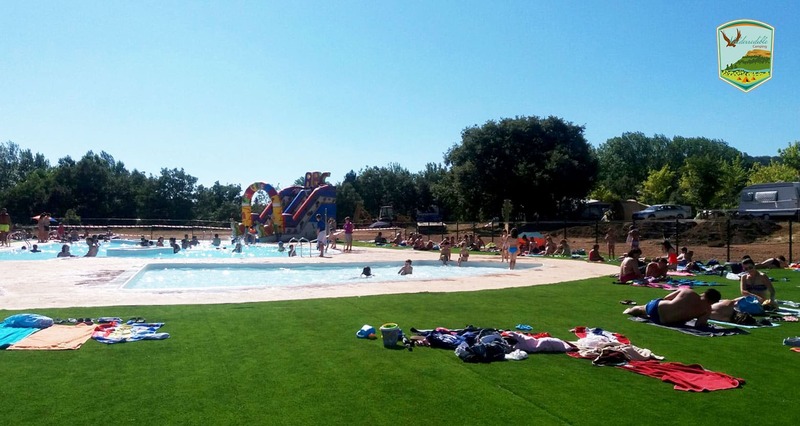 Adventure parks, water sports, workshops and other activities make this campsite ideal for families, as well as a model of cultural and sustainable tourism that adults and children will love. In order to make your stay in southern Cantabria unforgettable, we organize parties, events and excursions all year round. We have designed a map with all the activities and interesting places to visit near our campsite in Valderredible – Cantabria. We thus give you the possibility to organize your own excursions and tours according to your preferences. If you would like to know more about the leisure activities and tourism of the area, our campsite (facilities, opening times, etc. ), or if you have an enquiry, please contact us. You may phone us or fill in this form. We will inform you without any obligation.